One of the most anachronistic aspects of New Jersey workers’ compensation law is that employers pay workers’ compensation benefits even when intoxication is a substantial cause of injury. In Diaz v. National Retail Transportation, Inc., A-3927-14T2 (App. Div. November 9, 2016), Antonio Diaz was injured moving a heavy lift which fell over on him. He admitted that prior to work on January 28, 2014, he drank at least two eight-ounce glasses of half whisky and half ice and water. Respondent’s toxicologist testified at trial that petitioner had a blood alcohol level of at least .173 percent. Had petitioner been driving, that percentage would have been more than double the legal limit. Petitioner did not offer expert testimony. Instead, petitioner filed a motion to dismiss the intoxication defense on the basis that under N.J.S.A. 34:15-7, respondent must prove that intoxication is the sole cause in order to defeat a claim. In this case the Judge of Compensation believed that both the petitioner’s intoxication and the flat tire contributed to the cause. Therefore the intoxication was not the sole cause, and petitioner prevailed. Respondent appealed the dismissal of its intoxication defense. The Appellate Division affirmed the dismissal of the intoxication defense on the grounds that respondent failed to prove that intoxication alone caused the accident. Even if the flat tire contributed in just a small degree, that was enough to permit petitioner to recover workers’ compensation benefits. The case underscores the onerous burden that employers must meet in New Jersey to defeat a workers’ compensation claim on the intoxication defense. In most states, if intoxication is found to be a substantial cause, that is enough to defeat the claim. In some states, merely a contributory case is enough. 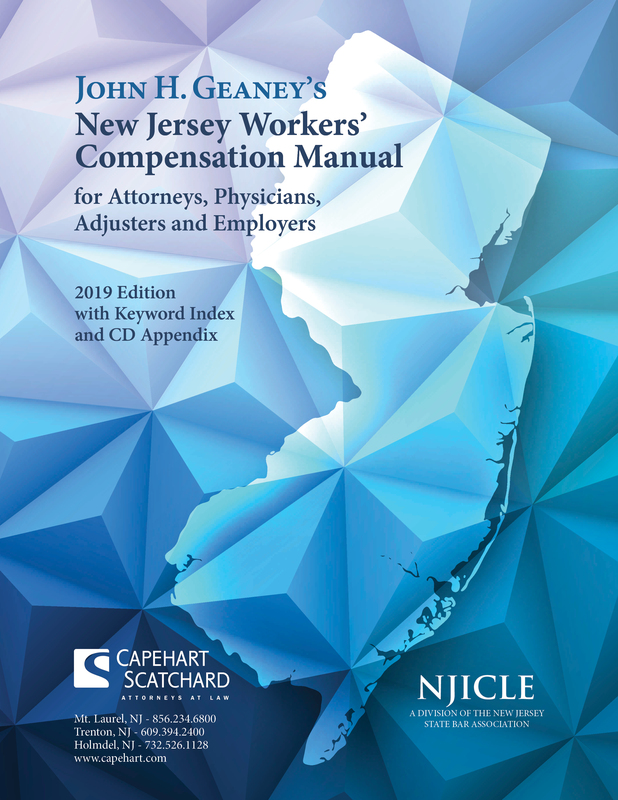 But in New Jersey the legislature requires the employer to prove that there was no other factor which contributed to the happening of the accident. Sole cause means sole cause, which is why there have only been a couple of reported cases over many decades where the intoxication defense succeeded.